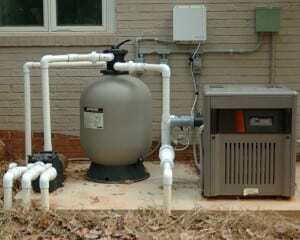 We offer a variety of swimming pool heaters to pool owners in Hickory, NC. Swimming Pool Heaters in Hickory – Everyone wants their swimming pool to be a refreshing retreat to escape the heat of the summer, but nobody wants a pool that is so frigid you don’t want to do anything more than dip your feet in. Fortunately, swimming pool heaters are available to install in all sorts of pools to help maintain the ideal water temperature. 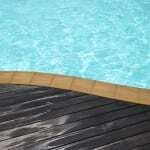 At S&H Pools, we offer a variety of swimming pool heaters to pool owners in Hickory, NC. We can help you find the right size and model of your needs. Swimming pool heaters have a wide array of options, which can be confusing if you’re unfamiliar with pool heaters. We can help you sort through your options, such as if you want a gas heater or heat pump, natural gas or propane, and millivolt or electronic ignition. Some models are meant to be used at specific altitudes, and different pool sizes will require a different size model. We can also discuss how much you want to use your heater. Some pool owners just want a warmer pool during the summer months, while others want to keep their pool open and operating year round. You might choose a different heater depending on how much you plan on using it. Once you have selected one of our swimming pool heaters, we are happy to do the installation for you. S&H Pools is a full-service operation, and we are able to help you with your swimming pool heater from start to finish. We look forward to getting your swimming pool ready to go!